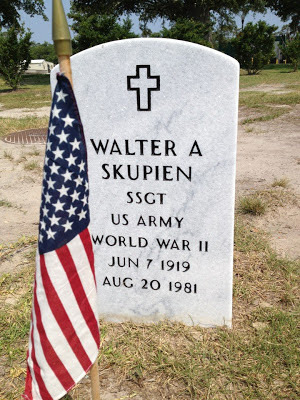 Both Husband Walter’s dad and mine were veterans of World War II. They are gone now, but I pause today to thank them and all the other veterans who have served. 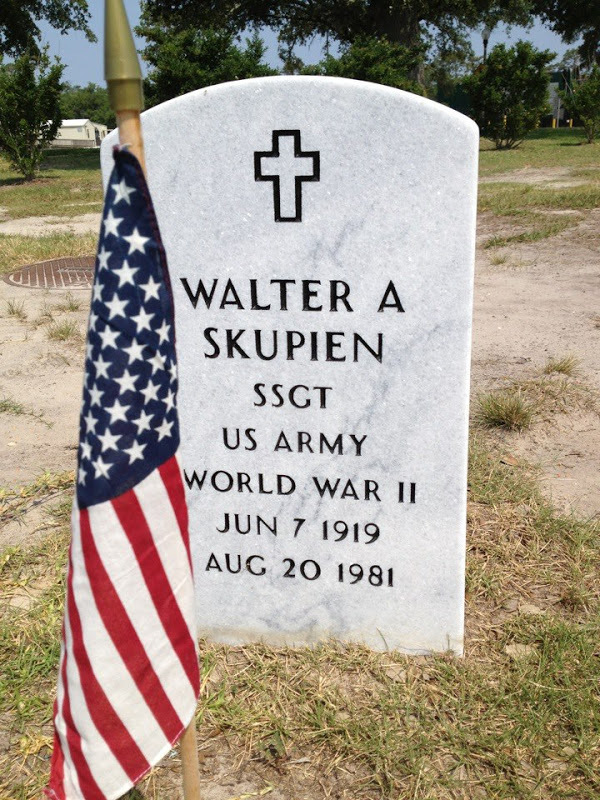 Our niece Lauren took this photo of my father-in-law’s marker in the National Cemetery in Biloxi, Mississippi. This time two years ago I had joined my mother and friends at her assisted living home for their Veterans Day event. This Veterans Day she is no longer with us. But her stories of World War II remind me that, on this day as I honor those past and present who accepted the responsibilities and sacrifices of service, I also want to remember their spouses and families. Military families’ lives are marked by those same responsibilities and sacrifices as they work, pray and hope. Yes, I say thank you too. My Father in Law was a 30 year Army man and loved his time there with a passion. He survived the bombing at Pearl Harbor. Grateful for what they did and for those in Harm's Way now. What a nice post, Linda! Once again, this year, I felt sad that my Ed, a veteran himself, had to go to work on a holiday set aside to honor this country's veterans. However, I felt a tad better when he came home from work, and said that he'd been given a "complimentary lunch" courtesy of his employer. Yes, G's dad, mine, and the two of us are all vets. It was really an honor for us to tour the cemetery in DC last month. Your sign in things are very very hard for me to read.